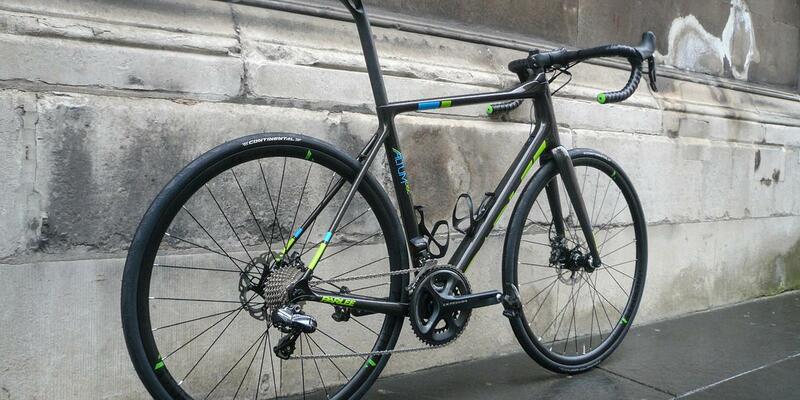 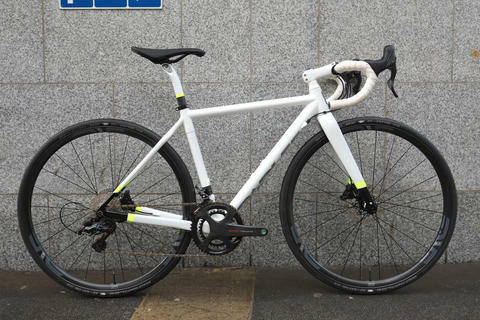 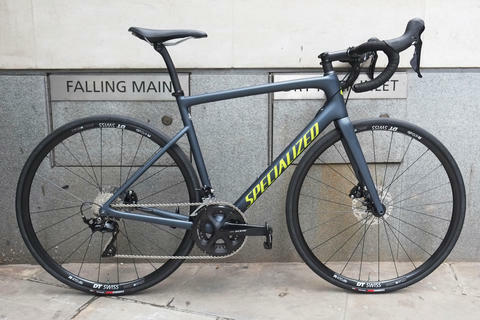 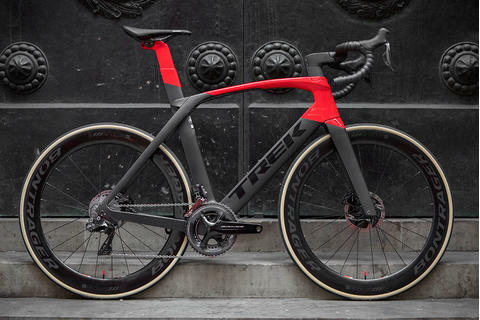 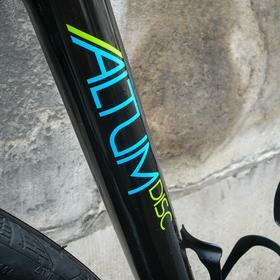 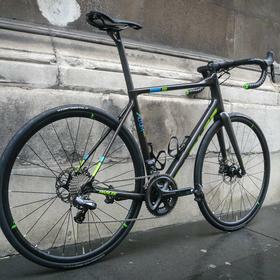 Tim's Parlee Altum Disc is what a modern road bike should look like. 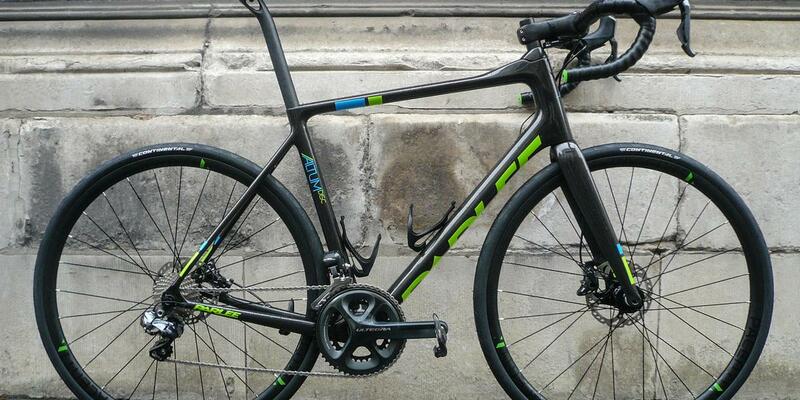 Sleek, slick and beautiful. 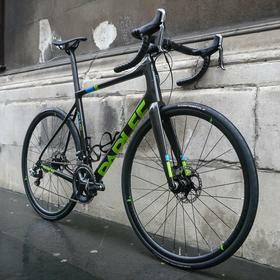 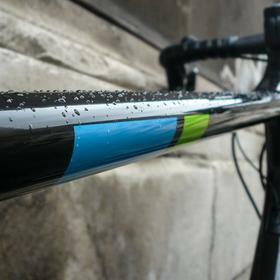 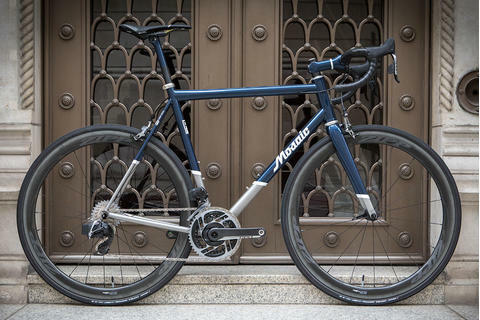 Parlee's paint is always amazing and the black with blue and green highlights looks great, with a deep, lustrous finish. 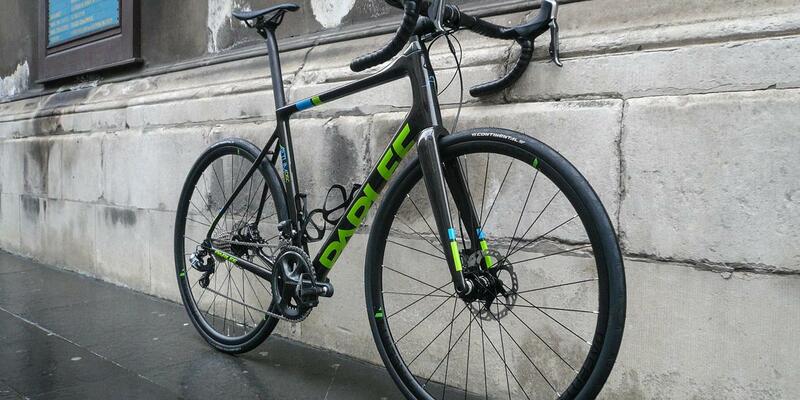 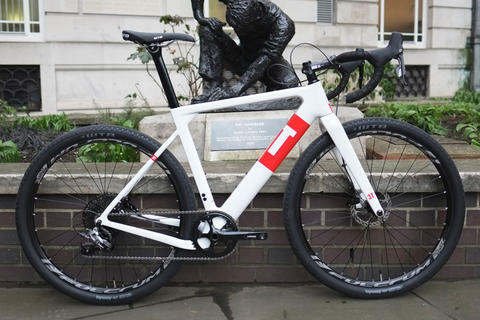 The Parlee carbon stem, bars and seatpost all complement the frame beautifully. 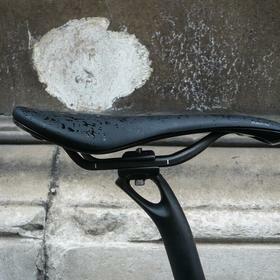 The Fabric Scoop Ultimate saddle is lightweight and tops the bike off perfectly. 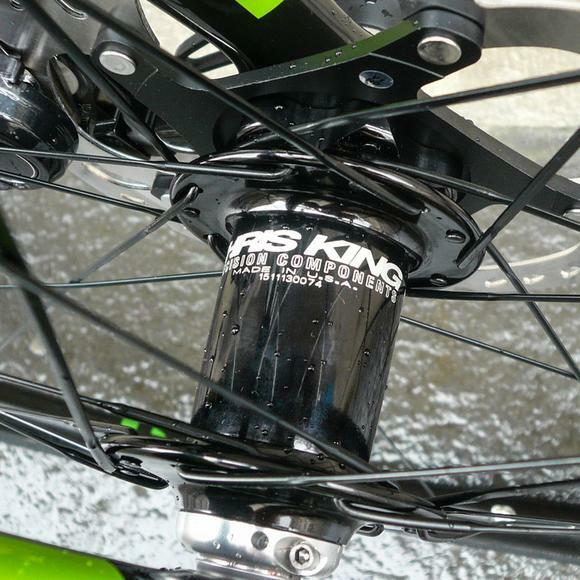 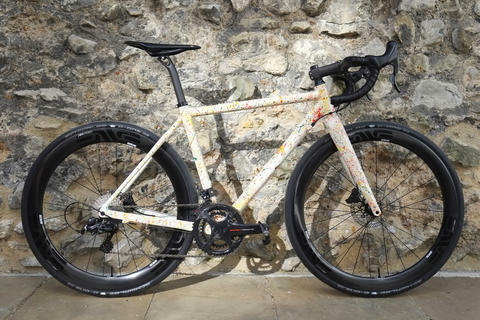 The wheels are Chris King disc hubs laced to Pacenti rims, rebadged with custom decals. 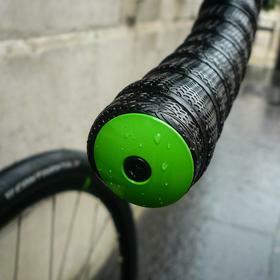 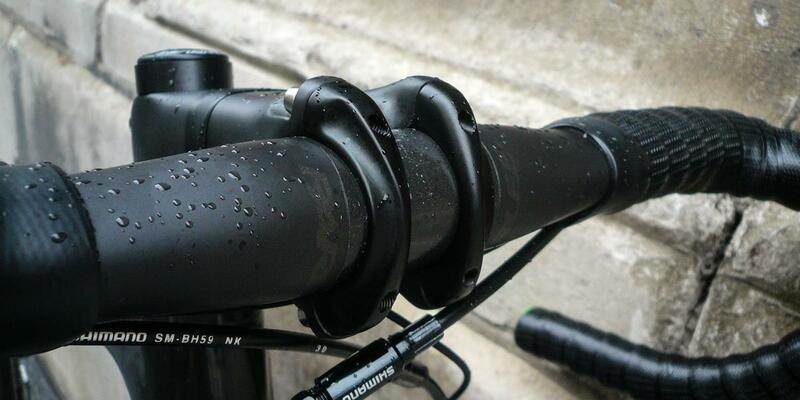 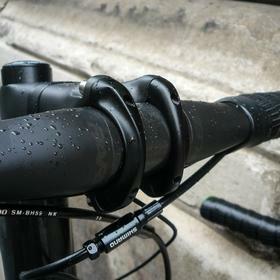 The icing on the cake is the touch of green added by the bar end plugs. 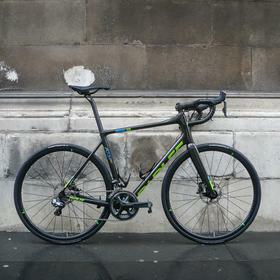 A fine looking bike, whatever the weather.